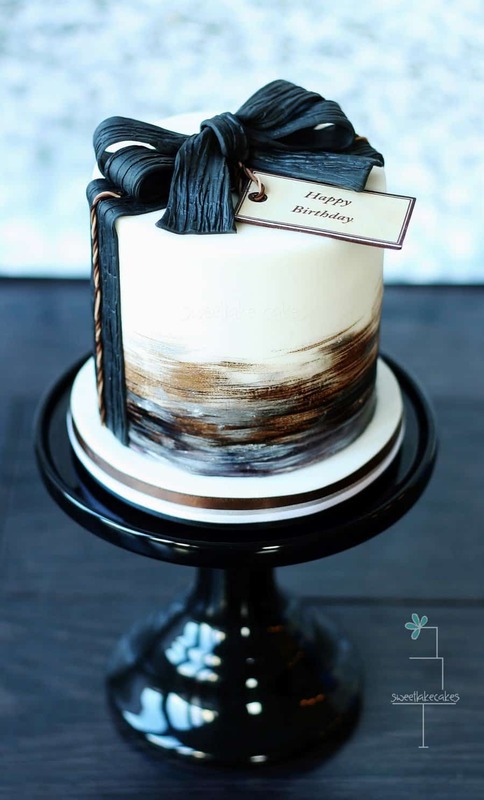 8 diy masculine birthday cakes, because he deserves a cool cake too! While searching the internet for ‘manly’ cakes I discovered that there is a huge variety of flowery and pretty cakes but not so many masculine cakes. 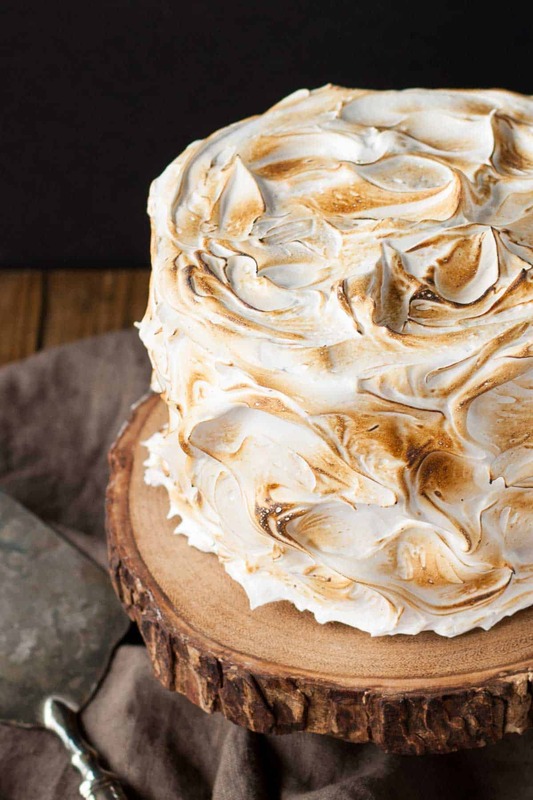 These 8 cakes are perfect for anyone wanting something a bit different. 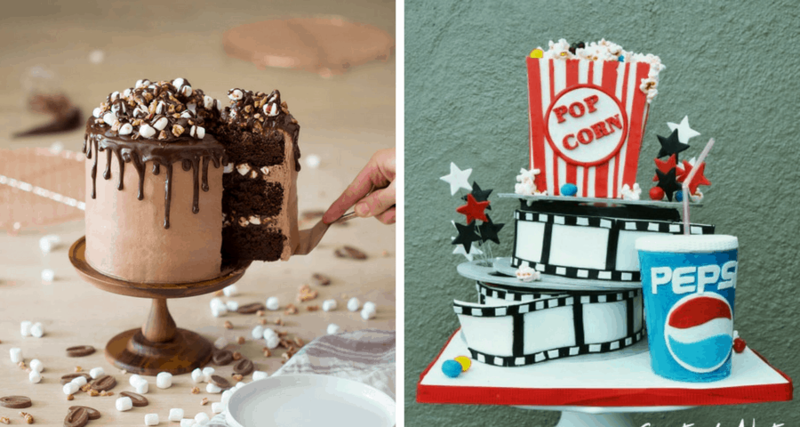 These cakes are more masculine than say our 10 Of The Prettiest Cupcake Design post but that doesn’t mean you won’t find a cake for him there or a cake for her here! 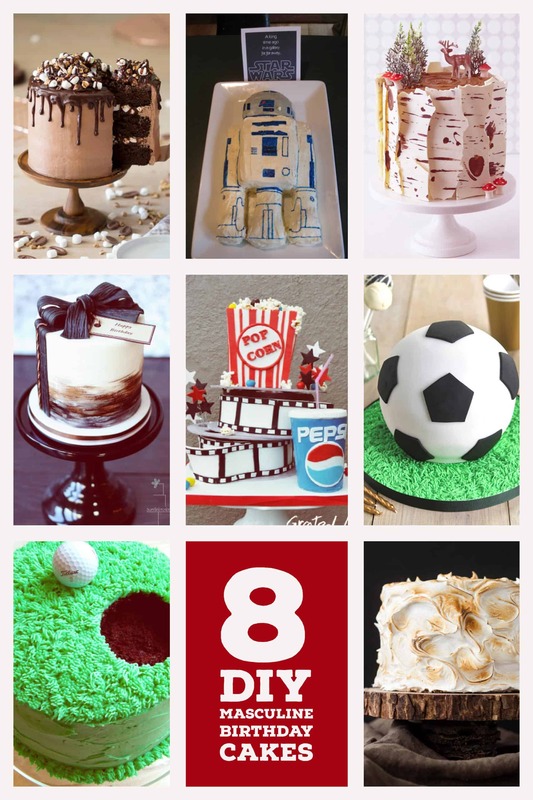 I for one would be EXTREMELY happy to receive any of these cool cakes. This cake is AMAZING! Not only is it amazing but it can be made in any color desired making it perfect for almost everyone. This isn’t a tutorial as such but there are some helpful hints on how to recreate this cake in the comments section. Click here to find out more. Wow! This is a very ambitious cake but taking it step-by-step it can be done! 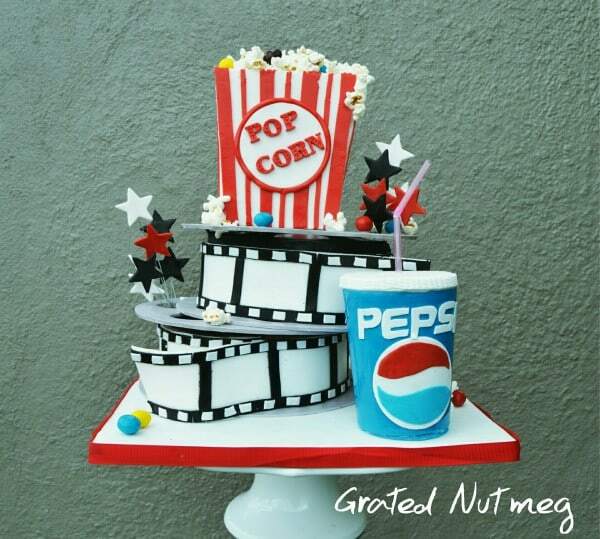 This tutorial is fantastic, it explains each component so you too can make this amazing cake. 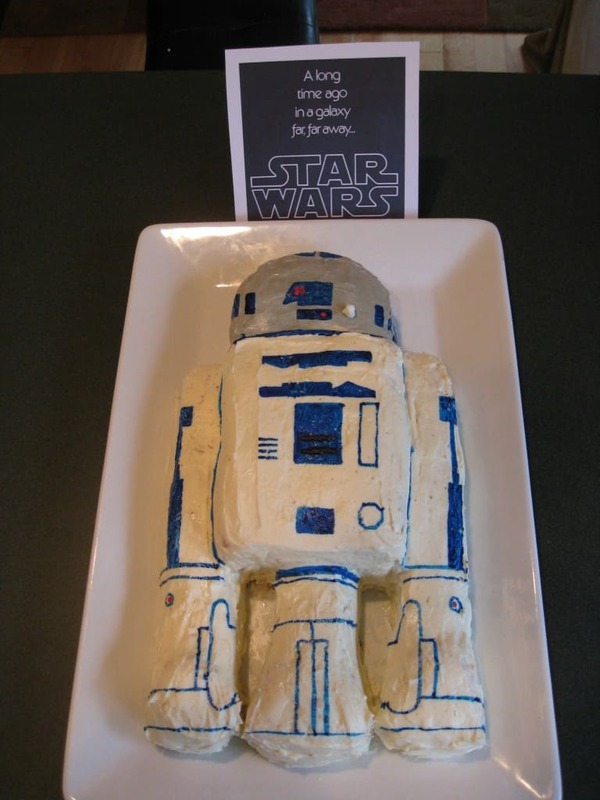 Any Star Wars fan is going to love this R2D2 cake. This lovely cake is simple enough for anyone to recreate. Follow this link to get the tutorial. 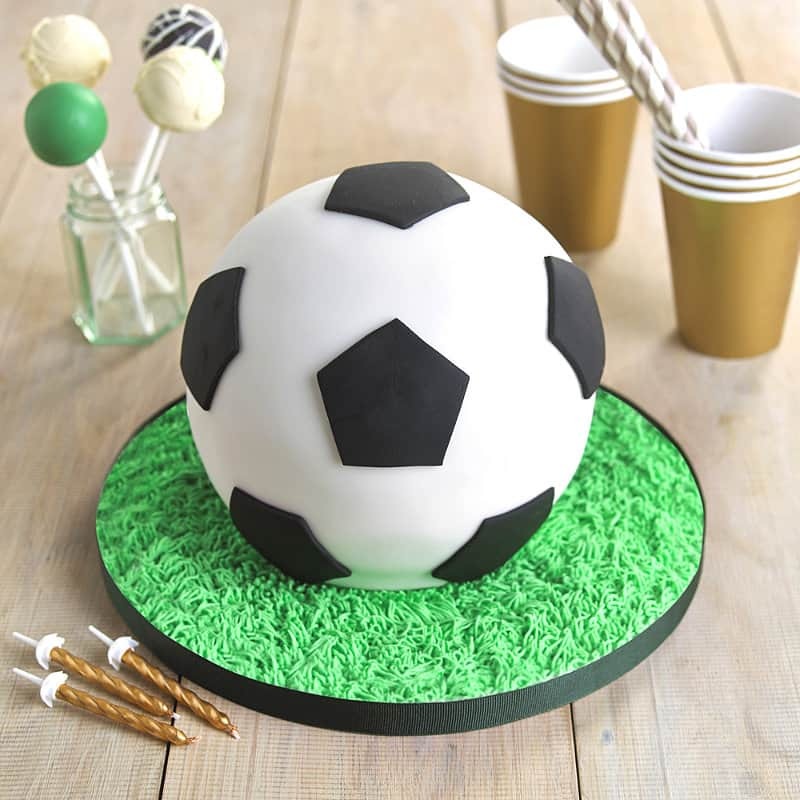 Impress the football lover with this ball cake. It uses two dome sphere tins to create the ball shape so is fairly simple to make! Follow this link to find the tutorial. 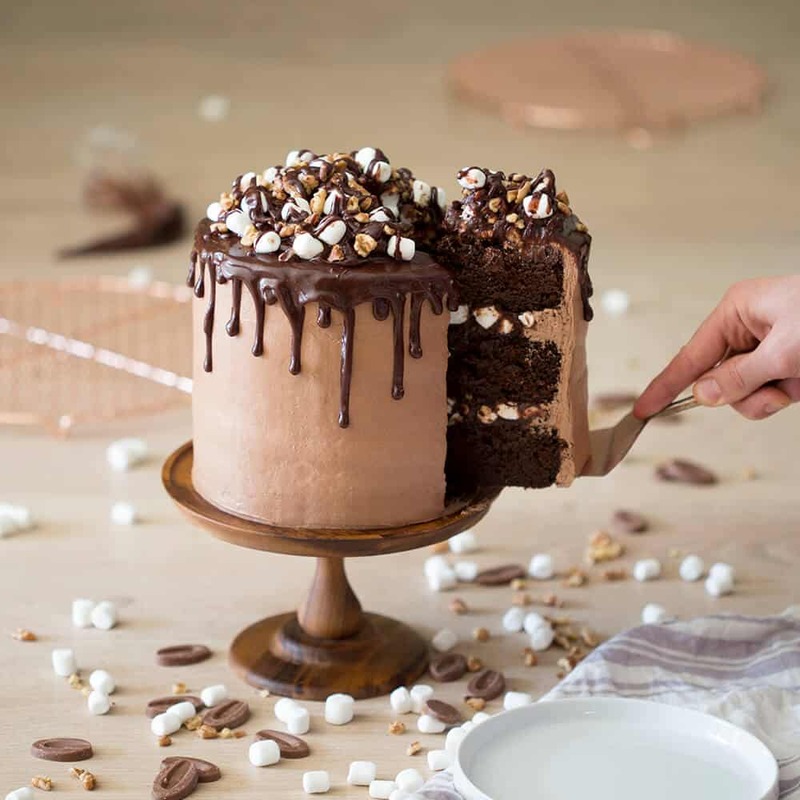 Chocolate, marshmallows and nuts, this cake has it all going on! Click here to get the recipe and tutorial. This is a cake I would love to make as it looks cool but is SO easy. 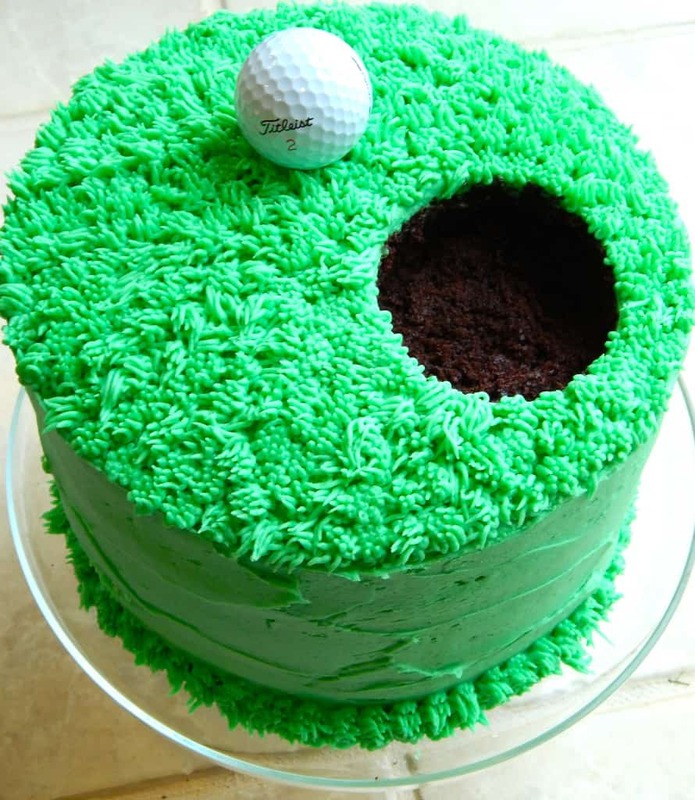 It uses my favorite grass/hair nozzle (have you seen my monster cake) which is almost impossible to stuff up! Find out more about this cake here. Surely there isn’t a person out there who wouldn’t love this amazing cake. 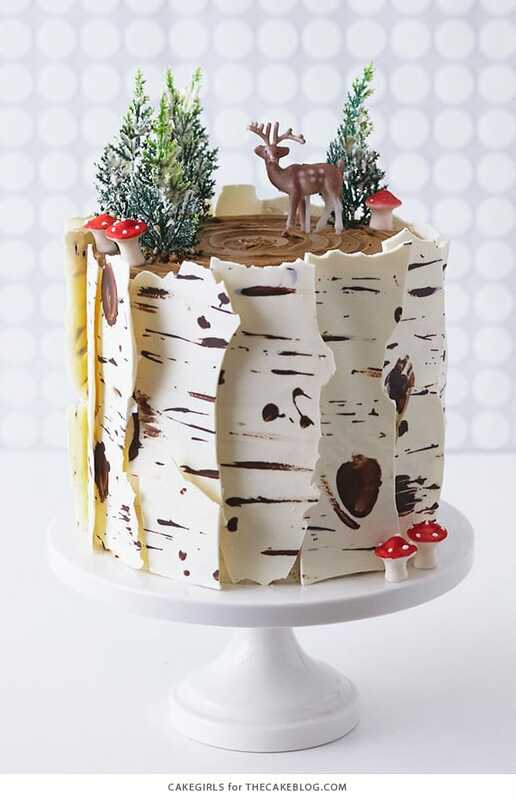 This tutorial steps you through the process from icing the cake to making the chocolate bark. He’s going to be asking for some more of this cake! This cake has a graham cracker base, milk chocolate ganache and is covered in marshmallow fluff, amazing! Get the recipe here.